Terrance L. Lyles Sr. "The Machine AKA OPTIMUS PRIME" was born and raised in the streets of Chicago. He graduated from Neal F. Simeon High School in 1992 and later attended Southern Illinois University Carbondale where he graduated with a Bachelor of Science degree in Electrical Engineering Technology. He currently works for the Illinois Department of Transportation as a field engineer specifying in road and bridge construction and inspection. Terrance began his long distance running career in April 2006. He began running due to his personal hardships and needed a change. 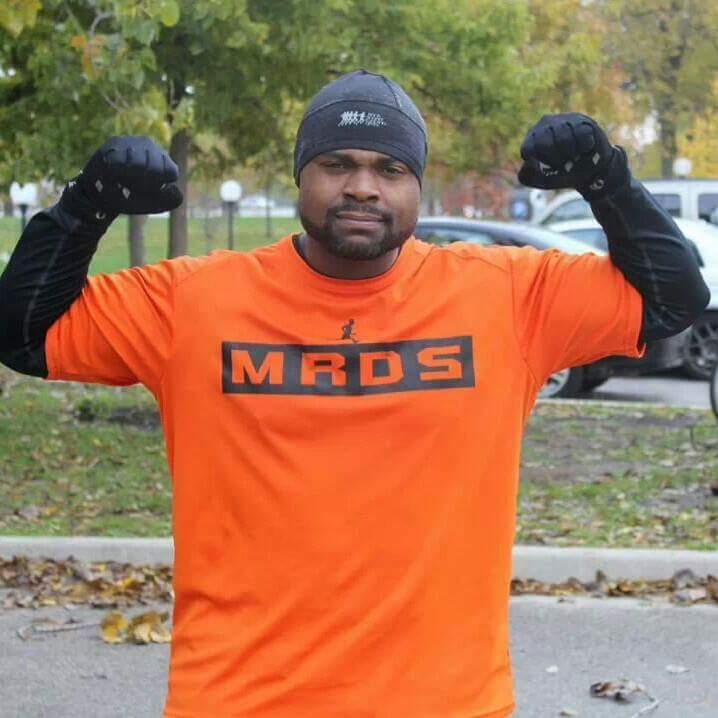 He felt that health and fitness was a priority in his life, but he needed a challenge that would give him the confidence to keep going in the face of adversity. He chose to sign up to train for the 2006 Chicago Marathon with Maxfitness Marathon Training Group under coach Rudy Christian. He went on to complete his first marathon in 4:07:28. From there Terrance was convinced he wanted to continue with distance running and has been doing it for 11 years. He has run 24 marathons total in cities such as Chicago, Miami, Detroit, Indianapolis, Little Rock, New Orleans, Atlanta, St. Louis, and Negril, Jamaica and has completed a 50 mile ultra race in Chicago. In 2018 he seeks to complete a 2nd 50 mile trail run and he wishes to complete the Paris Marathon. Terrance became inspired to create the organization Men Run Deez Streets in 2013 with the desire to influence more men of color to join the sport of distance running. Witnessing the issues many men face with obesity and other health related issues, he saw it fit to create an organization where men could be influenced to run and stay inspired in order to fight for their health. Since MRDS' inception under his leadership the organization has grown to over 200 facebook members across the United States and abroad. Terrance is a Road Runners Club of America (RRCA) Certified Adult Long Distance Run Coach and received his certification in August 2015. Terrance is a visionary and dedicated coach to his members, and strives to bring out the best in all whom he encounters.